This article is about the capital of the Eastern Province, Sri Lanka. For other uses, see Batticaloa (disambiguation). Batticaloa (Tamil : மட்டக்களப்பு, Maṭṭakkaḷappu; Sinhala : මඩකලපුව, Madakalapuwa) is a major city in the Eastern Province, Sri Lanka, and its former capital. It is the administrative capital of the Batticaloa District. The city is the seat of the Eastern University of Sri Lanka and is a major commercial city. It is on the east coast, 111 kilometres (69 mi) south of Trincomalee, and is situated on an island. Pasikudah is popular tourist destinations situated 35 km northwest with beaches and flat year-round warm-water shallow-lagoons. The Eastern Province is one of the nine provinces of Sri Lanka, the first level administrative division of the country. The provinces have existed since the 19th century but did not have any legal status until 1987 when the 13th Amendment to the Constitution of Sri Lanka established provincial councils. Between 1988 and 2006 the province was temporarily merged with the Northern Province to form the North Eastern Province. 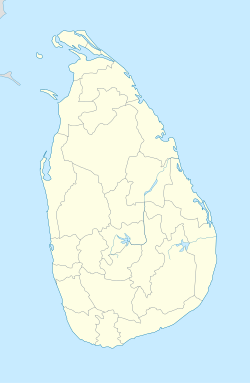 The capital of the province is Trincomalee. Mattakkalappu Maanmiyam is a Tamil language historical book concerning the history of Batticaloa. It was compiled by F. X. Nadarajah from the collections of palm-leaf manuscripts, copper plate inscriptions and inscriptions and it was published in August 1962. The authors of the original manuscripts and other forms of documentation are unknown. Batticaloa Lagoon is a very large estuarine lagoon in Batticaloa District, eastern Sri Lanka. The city of Batticaloa is located on land between the lagoon and the Indian Ocean.Batticaloa district is flourished with three lagoons, such Batticaloa lagoon, Valaichchenai Lagoon and Vakari Lagoon. Among them, Batticaloa lagoon is the largest lagoon in Batticaloa District. Batticaloa lagoon is a long and narrow lagoon situated in the east coast of Sri Lanka with the total area of approximately 11,500 ha of water. Batticaloa is in the eastern coast of Sri Lanka on a flat coastal plain boarded by the Indian Ocean in the east occupies a central part of the eastern Sri Lanka. Its average elevation is around 5 meters. Batticaloa district has three lagoons such as Batticaloa Lagoon, Valaichchenai Lagoon, and Vakari (Panichchankerni) Lagoon. Among these lagoon, Batticaloa Lagoon is the largest lagoon and has 56 km long 162 square km area, extending from Pankudaweli in North and Kalmunai in South. Batticaloa beaches are sandy and located along 4 km shoreline in the city and further extend through the neighboring places. They include Kallady beach, Pasikudah and Kalkudah. Pasikudah is a bay protected from the ocean, with a flat and sandy bed extending 150 to 200 meters from the shore. Batticaloa has a tropical wet and dry climate under the Köppen climate classification, also generically referred to as 'dry-monsoonal climate'. Batticaloa's climate is temperate throughout the year. From March to May, the warmest time of the year, the maximum temperature averages around 32 degrees Celsius (88 degrees Fahrenheit). During the monsoon season from November to February heavy rains are recorded, with average temperature of 25 °C. Average annual rainfall in Batticaloa is 1,650.9 mm (65.00 in). The Fahrenheit scale is a temperature scale based on one proposed in 1724 by Dutch–German–Polish physicist Daniel Gabriel Fahrenheit (1686–1736). 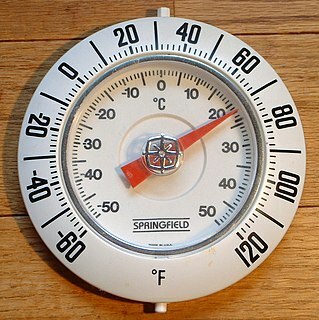 It uses the degree Fahrenheit as the unit. Several accounts of how he originally defined his scale exist. The lower defining point, 0 °F, was established as the freezing temperature of a solution of brine made from equal parts of ice, water and salt. Further limits were established as the melting point of ice (32 °F) and his best estimate of the average human body temperature. The scale is now usually defined by two fixed points: the temperature at which water freezes into ice is defined as 32 °F, and the boiling point of water is defined to be 212 °F, a 180 °F separation, as defined at sea level and standard atmospheric pressure. Claudius Ptolemy's map of Ceylon, 1st century AD in a 1535 publication. Ancient map drawn by Egyptian cartographer Ptolemy shows the Eastern Province and Batticaloa as Nagadviba. [ citation needed ] Thus the people of the Eastern Province were called Nagas. There were several Naga kings and princes who ruled Sri Lanka and Nagadeepa who were called by various Naga names. These names are listed references in Mahawamsa. Claudius Ptolemy was a Greco-Roman mathematician, astronomer, geographer and astrologer. He lived in the city of Alexandria in the Roman province of Egypt, wrote in Koine Greek, and held Roman citizenship. The 14th-century astronomer Theodore Meliteniotes gave his birthplace as the prominent Greek city Ptolemais Hermiou in the Thebaid. This attestation is quite late, however, and, according to Gerald Toomer, the translator of his Almagest into English, there is no reason to suppose he ever lived anywhere other than Alexandria. He died there around AD 168. Mattakallappu Manmiyam Palm-leaf manuscripts at the Batticaloa Museum. Mattakallappu Manmiyam refers (மட்டக்களப்பு மான்மியம்) Mukkuva or Mutkuhar are known as the first people migrated to this land and constructed seven villages in various areas. They immigrated their people from India and established the kingdom of Mukkuva. The name of the villages and towns in Batticaloa still holds the historical evidence of the ancient batticaloan people. When Mutkuhar intruded through the salty water and reached the destination of their voyage at the forests situated around the lagoon. When they finished. The name given by the Mukkuva was "Kallpu-Mattam" which literally means "boundary of lagoon". Later it was called "Matta-Kallappu" which indicates the destination of Mukkuva's voyage and the water is flat. Mukkuva is a coastal community from Ancient Tamil country. They are of mixed origin and migrated at various periods in history. Mukkuvas waged war around Puttalam and settled in the western coast as well. Sinhala Kings of Suryawamsa kept Mukkuvas as their mercenary force. [ citation needed ] They waged wars on other countries like Burma. Gajabahu, Parakramabahu, Vijayabahu were some of these Suryawamsa kings who employed the Chera soldiers for their protection and defence of Sri Lanka. Gajabahu I was a friend of Cheran Chenkuttuvan and was mentioned in the great Jain epic of Silappadikaram and in addition to that he was also mentioned in Mahawamsa. When Anuradhapura was destroyed, the capital moved from Anuradhapura to Polonnaruwa. When Pollonaruwa was destroyed the capital moved to Kotte and then to Kandy. Anuradhapura was destroyed by Rajaraja Cholan and he who established Polonnaruwa. Even though Pollonaruwa had a few Hindu temples it was a great Buddhist city full of beautiful Buddhist architecture matching Angkor Wat. As a catalyst for change, Kalinga Magha is arguably one of the most significant rulers in Sri Lankan history. His invasion marks the final – cataclysmic – destruction of the kingdom of Rajarata, which had for so long been the heart of native power on the island. The great cities of the ancient kings were now lost and disappeared into the jungle, and were not rediscovered until the 19th century. Native power was henceforth centred on a kaleidoscopically shifting collection of kingdoms in south and central Sri Lanka. The north, in the meanwhile, eventually evolved into the Jaffna Kingdom, which was subjected colonial rule by the Portuguese in 1619. Kalinga Magha's geopolitical impact is reflected in the changing language of the Culavamsa as well. The traditional divisions of Sri Lanka, into Rajarata, Dhakkinadesa, and Ruhuna, first undergo a change of names (Rajarata becomes Pathithadesa, Dhakkinadesa becomes Mayarata), and then slip into obsolescence altogether. Their successor kingdoms tended to be geographically smaller and centred on a strong citadel-capital, such as Yapahuwa or Gampola; they also tended to be much short lived, like Sitawaka. Parakramabahu's coronation took place in 1236. He turned his attention to the recovery of Polonnaruwa from the Tamils, and achieved this purpose by 1244. In this connection two kings are mentioned, Kalinga Magha and Jaya Bahu, who had been in power forty years, apparently reckoned from the time of the military rule after Sahasa Malla. As the Tamil war' and the `Malala war' as specifically mentioned by contemporary chronicles the two kings may have held different parts of the country. In the king's eleventh year (1244/5) Lanka was invaded by Chandrabhanu, a Javanese (Javaka) from Tambralinga, with a host armed with blow-pipes and poisoned arrows: he may have been a sea-robber, and though now repulsed descended on the Island later on. The rest of the reign according to the contemporary records was spent in pious works; the king also held a convocation for the purpose of reforming the priesthood, whose discipline had been relaxed during the Tamil occupation. The chronicles make no mention of a great Pandyan invasion which seems to have taken place between 1254 and 1256, in which one of the kings of Lanka was slain and the other rendered tributary. From this it is clear that Parakramabahu never had recovered the north of the Island, which certainly had been held by his great namesake. King Parakramabahu II got organized for a major battle. He got everything ready hastily. Those were very busy days for the king and his Yuvaraja Buwanekabahu was always with him, helping him in whatever way he could. The Yuvaraja was fully committed to his task. He was a great Sinhala leader who was very nationalistic in his deeds. All other warriors too did their best. One and all they were all prepared even to sacrifice their lives to win the freedom for the country. Time passed. The Sinhala soldiers were mastering martial arts. They were physically strong. The king was greatly pleased to witness all this. The auspicious hour arrived. The army of King Parakramabahu II set out on their march towards 'Pihiti-rata.' There were a number of check points put up by the Keralas on this route. King Parakramabahu's army destroyed them all. By this time, there were about 40,000 Kerala soldiers in the country. They were real warriors but the Sinhala army was skilled enough to face them. They started attacking the Kerala camps, left and right. This was no easy task. The Sinhala soldiers did not retreat. They used all their strategies until the Kerala soldiers were completely weakened. The Sinhala forces were victorious. All Kerala camps were destroyed. Ultimately they reached Polonnaruwa, besieged the city and began to attack. Before long the Polonnaruwa kingdom was won by Parakramabahu II. However, as the entire 'Raja-rata' was not freed completely, the king did not go to live there. It is during this time, around 1258 AD, in the 22nd year of his rule, the king was afflicted with an incurable disease. Lanka was a confederacy of various rulers for a long time and different princes ruled the different provinces and helped each other and plotted against each other. As the Portuguese colonisers were dividing and ruling Kotte, Kandy Kingdom and Jaffna Kingdom had to create a confederacy to fight against Portugal. As a joint strategy they approached the Netherlands to have a global free trade and to get rid of the Portuguese. 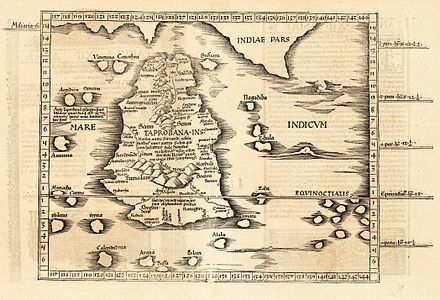 From Cape Comorin the Dutch Admiral Joris van Spilbergen steered his course to Point de Galle; but, without landing there or at any of the other places which were strongly fortified by the Portuguese, he sailed round the south coast of the Island and made for Batticaloa, where he anchored on 31 May 1602. He learnt that the town of Batticaloa, where the chief of the province resided, was about three miles (5 km) inland; so he sent him a messenger proposing to enter into trade with him. In the meantime he learnt from some Tamils who came on board that there was plenty of pepper and cinnamon to be had, but that it was to be obtained from the chief of the place. These Tamils brought with them a Portuguese interpreter; for Portuguese was the only European language then heard or spoken in Ceylon, and the natives of the island had no idea that there were other white people who spoke a different language. The Admiral was taken from Batticaloa to Kandy and was given a liberation hero's welcome as King Rajasinghe seized the opportunity to get rid of the Portuguese, the oppressors who were slowly encroaching the island systematically and promoting subversion against Rajasinghe. The Batticaloa fort was built by the Portuguese in 1628 and was the first to be captured by the Dutch (18 May 1638). It is one of the most picturesque of the small Dutch fort of Sri Lanka, it's situated in an island, still in good condition. In 1942, during World War II, the aircraft carrier HMS Hermes and escorting destroyer HMAS Vampire were stationed at Trincomalee. Both these ships came under Japanese aerial attack off Batticaloa and were sunk. Some of the remnants of HMS Hermes still remain at around 9 nautical miles (17 km) off Baticaloa. The town was also one of the worst hit during the tsunami of December 26, 2004. The water rose up to 4.7 metres (15 ft) within 90 minutes of the beginning of the 2004 Indian Ocean earthquake. 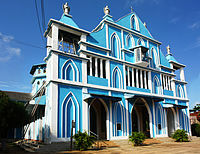 Batticaloa, along with Colombo, was attacked as a result of the 2019 Sri Lanka Easter bombings, with the Zion Church being attacked by an explosive device. The city has four main divisions. Puliyanthivu : Seat of many government department and offices, schools, banks religious places, General Hospital, Weber Stadium and Shops. It was a place for NGO offices including ICRC, UN, UNICEF, World Vision, etc. Koddamunai: Schools, Banks, Sri Lanka Telecom regional office for East, Shops and many government offices are located. Two bridges called Perya Palam and Puthuppalam are connects Pulianthivu island with Koddaminai land mass. Kallady: Here there are many Government buildings and private industries, schools, hospitals and Eastern University Medical Faculty. Kallady Lady Manning bridge connects Kallady and Arasay. Puthur: This is where the domestic airport of Batticaloa is located. Batticaloa is on the East coast of Sri Lanka, 314 km from Colombo. The population of 95,489 consists mainly of Sri Lankan Tamils others include Moors, Sinhalese, Burghers and the indigenous Veddas population. Hinduism is the major religion of Batticaloa. Eastern Province is a place of Amman temples. This shows the worship of female deity Kannaki of Silappatikaram. The cult has come with the King Gajabahu I who brought the settler Tamils from the Chera Kingdom of his friend Cheran Senguttuvan. Silppatikaram copy was initially discovered in Trincomalee by Tamil scholars. Tamil Nadu was not having a copy of this great Tamil literature. The northern and eastern parts of Sri Lanka have several temples in honour of Kannaki Amman. Gajabahu I brought Amman worship to Sri Lanka in the Third Century AD after her death. Shri Mamangeshwarar Kovil is one of the main holy places for Hindus in the country is located in a place called Amirthakally which is 6 Kilometers away from Batticaloa town. Hindus believe that by bathing in the water of sacred water of Mamangeshwarar tank, the departed souls of their family will be receiving better attainments in their cycle of its transmigration. Sri Kandaswamy/KannakaiAmman Kovil are important from a devotional point of view. The Mandur (மண்டூர்) temple is in the southern end, while the Mamangeshwarar temple is in the western-most edge at Muhaththuvaram (முகத்துவாரம்). The latter is a historic harbour and ancient Buddhist shrine, mentioned in the "Dhathu Vamsa". While the Dagaba and shrine in the Dutch Fort is the oldest (1st century CE), Mangalaramaya is a well-known modern Buddhist temple in Batticaloa. Rice and coconuts are the two staples of the district, and steamers trading round the island call regularly at the port. The lagoon is famous for its "singing fish," supposed to be shell-fish which give forth musical notes. The district has a remnant of Veddahs or wild men of the wood. Prior to the Sri Lankan civil war, there were large-scale shrimp farms as well as fish and rice processing activities. Batticaloa shows a huge potential for tourism related industries. Batticaloa is the terminus of a Broad gauge branch railway of the Sri Lanka Government Railway network. The Batticaloa railway station is the last station on Batticaloa Line. Batticaloa Airport is a military air force base, which has domestic air service to civilian as well by Cinnamon Air and Helitours. Bus service is available to major cities of Sri Lanka. Habarana is a small city in the Anuradhapura District of Sri Lanka. The location has some mid-range and up hotels aimed at package tourists, and is a departure point for other nearby locations of greater interest. 1958 anti-Tamil pogrom and riots in Ceylon, also known as the 58 riots, refer to the first island wide ethnic riots and pogrom to target the minority Tamils in the Dominion of Ceylon after it became an independent dominion from Britain in 1948. The riots lasted from 22 May until 27 May 1958 although sporadic disturbances happened even after the declaration of emergency on 1 June 1958. The estimates of the murders range, based on recovered body count, from 300 to 1,500. Although most of the victims were Tamils, some majority Sinhalese civilians and their property was also affected both by attacking Sinhalese mobs who attacked those Sinhalese who provided sanctuary to Tamils as well as in retaliatory attacks by Tamil mobs in Batticaloa and Jaffna. As the first full-scale race riot in the country in over forty years, the events of 1958 shattered the trust the communities had in one another and led to further polarisation. Sri Lankan state-sponsored colonization schemes refers to the government program of settling mostly farmers from the densely populated wet zone in the sparsely populated areas of the dry zone in the North Central Province and the Eastern Province regions near tanks and reservoirs being built in major irrigation and hydro-power programs such as the Mahaweli project to create farming and fishing communities. This has taken place since the 1950s. Parākramabāhu I was king of the Kingdom of Polonnaruwa from 1153-86. During his reign from the capital city of Polonnaruwa, he unified the three lesser kingdoms of the island, becoming one of the last monarchs in Sri Lankan history to do so. He oversaw the expansion and beautification of his capital, constructed extensive irrigation systems, reorganized the country's army, reformed Buddhist practices, encouraged the arts and undertook military campaigns in South India and Burma. The adage "not even a little water that comes from the rain must flow into the ocean without being made useful to man" is one of his most famous utterances. The Kingdom of Polonnaruwa was the Sinhalese kingdom from which Sri Lankan kings ruled the island from the 11th century until 1310 CE. Pollonnaruwa was the second administrative center of Rajarata. History of Eastern Tamils of Sri Lanka is informed by local legends, native literature and other colonial documents. Sri Lankan Tamils are subdivided based on their cultural, dialects & other practices as into Northern, Eastern and Western groups. Eastern Tamils inhabit a region that is divided into Trincomalee District, Batticalo District and Ampara District. Pasikudah or Pasikuda (Tamil: பாசிக்குடா; Sinhala: පාසිකුඩා; is a coastal resort town located 35 kilometers northwest of Batticaloa, Batticaloa District, Sri Lanka. Historically a small Tamil hamlet alongside nearby Kalkudah, it used to be a popular tourist destination, however suffered huge devastation following the 2004 Indian Ocean tsunami and the Sri Lankan Civil War. The Kingdom of Dambadeniya was a medieval kingdom in what is present day Sri Lanka. The kingdom's rulers reigned from 1220–1345. The period of Chola rule in the island of Sri Lanka began with the invasion in 993 AD, when Raja Raja Chola sent a large Chola army which conquered the Anuradhapura Kingdom, in the north, and added it to the Chola Empire. Most of the island was subsequently conquered and incorporated as a province of the vast Chola empire during the reign of his son Rajendra Chola. The Batticaloa Fort was built by the Portuguese in 1628 and was captured by the Dutch on 18 May 1638. From 1745, the fort was used by the British. Batticaloa Tamil dialect is one of the Sri Lankan Tamil dialects, which uses in Eastern provinces Batti - Ampara districts of Sri Lanka. Batticaloa Tamil dialect slightly differs from other Sri Lankan Tamil dialects such as Jaffna Tamil dialect, Negombo Tamil dialect, Estate Tamil dialects, Colombo, Trincomalee & Vanni Tamil dialects. Batticaloa region (Tamil: மட்டக்களப்புத் தேசம் Maṭṭakkaḷapput tēcam; also known as Matecalo; Baticalo; in Colonial records, was the ancient region of Tamil Settlements in Sri Lanka. The foremost record of this region can be seen in Portuguese and Dutch historical documents along with local inscriptions such as "Sammanthurai Copper epigraphs" written on 1683 CE which also mentions about "Mattakkalappu Desam". 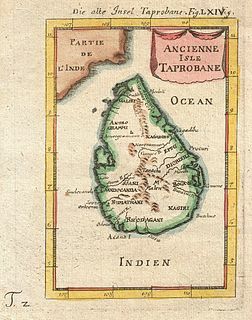 Although there is no more the existence of Batticaloa region today, the amended term "Batti-Ampara Districts" still can be seen in the Tamil print media of Sri Lanka. ↑ "Thiyaraja Saravanapavan named new Mayor of Batticaloa". ↑ "'Land of the singing fish', a tourist destination soon". Sunday Observer (Sri Lanka). Archived from the original on 2015-08-31. Retrieved 8 April 2015. ↑ "The land of the singing fish". Ceylon Today. Archived from the original on 15 April 2015. Retrieved 8 April 2015. ↑ "Batticaloa's 'Singing Fish' still in business". Sunday Times (Sri Lanka). Retrieved 8 April 2015. ↑ "The Singing Fish of Batticaloa". BBC. Retrieved 8 April 2015. ↑ "About Batticaloa" . Retrieved 8 April 2015. ↑ "Batticaloa / Batticaloa, North Eastern, Sri Lanka, Asia". ↑ "World Weather Information Service — Batticaloa". World Meteorological Organisation. Retrieved 9 May 2016. ↑ "Klimatafel von Batticaloa (Madakalapuwa) / Sri Lanka (Ceylon)" (PDF). Baseline climate means (1961–1990) from stations all over the world (in German). Deutscher Wetterdienst. Retrieved 9 May 2016. ↑ "Ever Recorded Daily Extreme Values" (PDF). Department of Meteorology. Archived from the original (PDF) on December 29, 2009. Retrieved December 8, 2016. ↑ "Varalaaru" . Retrieved 21 October 2013. 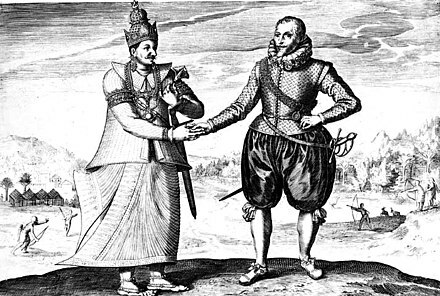 ↑ "LANKALIBRARY FORUM • View topic – Portuguese encounter with King of Kotte in 1517". www.lankalibrary.com. ↑ Obeyesekere, Gananath. "Vädda Heterogenity and Historic Complexity". ↑ "Census of Population and Housing 2011". ↑ "A2 : Population by ethnic group according to districts, 2012" (PDF). Retrieved 2011-10-31. ↑ "Wesleyan Mission-Chapel and School-Rooms, Battticaloa, Ceylon". Wesleyan Juvenile Offering. London: Wesleyan Methodist Missionary Society. VII: 54. May 1850. Retrieved 19 November 2015. ↑ "OUSL Home – The Open University of Sri Lanka". ↑ "Journal of Pidgin and Creole Languages". John Benjamins. 1 January 1987 – via Google Books. ↑ "Mosques in the Batti region". Archived from the original on 2008-05-14. Retrieved 2007-11-07. ↑ "Religious composition of population in Batticaloa Municipality – 2008" (PDF). Archived from the original (PDF) on 2013-10-21. Retrieved 2012-10-31. Wikivoyage has a travel guide for Batticaloa . 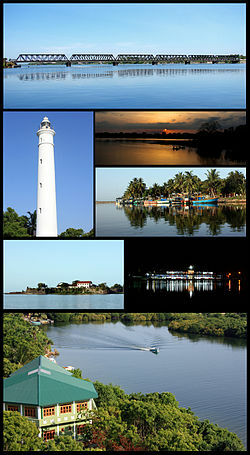 Wikimedia Commons has media related to Batticaloa .